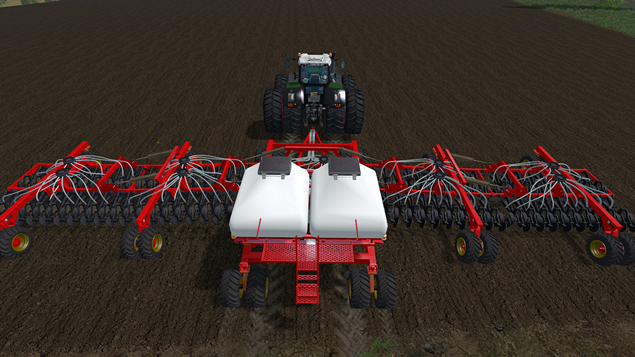 Awesome large and high capacity seeder for farming simulator 15 by fsmods.at. with working width of 22m and can be filled with 16 800 liters of seeds. Completely re-designed system, which is now provided with terrain collision. 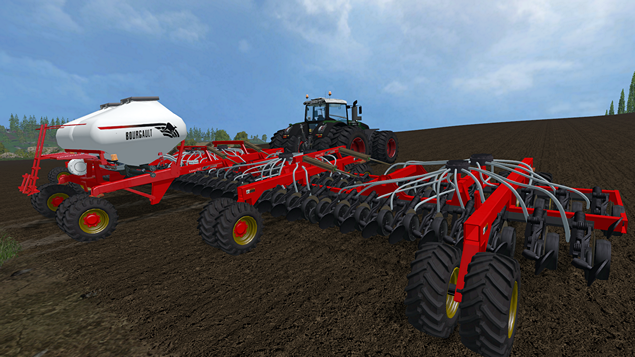 Bourgault AD22 AirSeeder follow the trail surface and will be no longer one’s feet above ground. 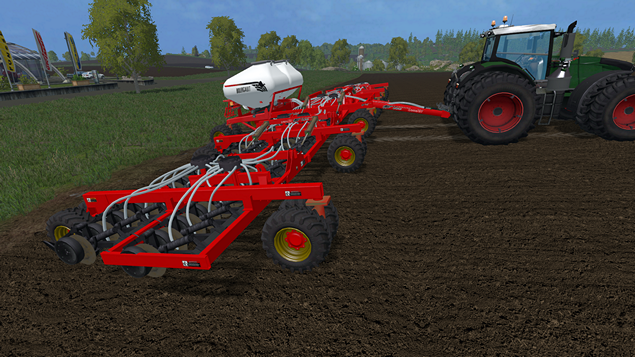 In combination with the Xerion Saddletrac and Fertibox can be sown and fertilized simultaneously.